Whether you are asking a question, adding a suggestion or helping to improve a user's idea, providing feedback is an important part of the ideation process. By working together, you can curate ideas to refine and improve them over the course of a project. 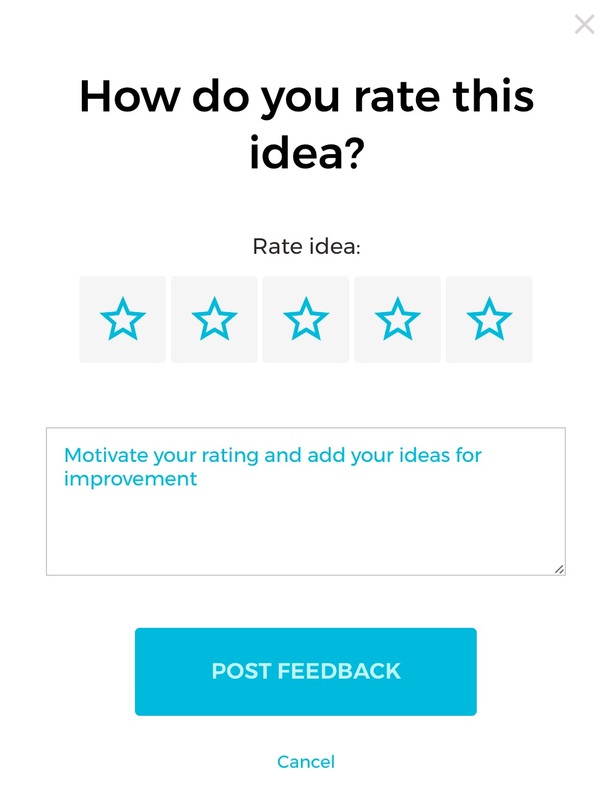 With Idea Hunt's helpful feedback tool, it's easy to provide help, get answers, and rate other user's ideas. 1. Log into your Idea Hunt Platform. 2. Navigate to the appropriate hunt. 2. Select the Ideas Tab at the top of the page. 3. Locate the idea for which you would like to provide feedback, from the list of submitted ideas. 4. Click into that idea. 5. Locate and click on the button that says "Give Feedback". 6. Select the number of stars that you would like to give this idea. 7. In the text box provided, please type your feedback. Congratulations, you have just submitted your feedback to an idea!